So, You've Been Added to a Twitter list. Here's What to Do Now. So, You’ve Been Added to a Twitter list. Here’s What to Do Now. 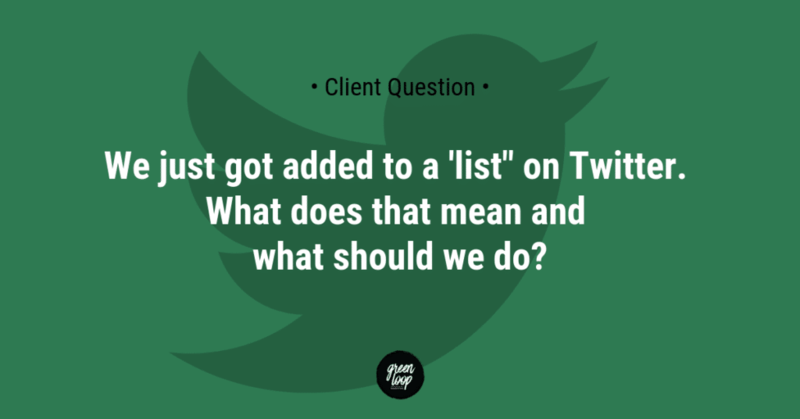 A client just asked us about Twitter lists. It’s such an important question, we wanted to share our response on our blog as well. Here’s what to do after you’re added to a Twitter list. A Twitter list is basically a curated group of Twitter accounts. Anyone with a Twitter account can create a list. A list is a smart way to organize contacts. Often people do it so they can look at just the tweets published from those in a particular group or around a certain topic. For example, an “Indy Tech” list would show just the tweets from Indy tech industry and influencer Twitter accounts that had been added to the list. Sometimes people also do this for marketing reasons because when you add someone, it sends them a notification. Even better, they can then easily engage with people on that list. If you are interested in being able to see the tweets from accounts on the list, you can “subscribe” to the list. This also might be a good place to find new Twitter accounts in your industry to follow. If you aren’t interested in seeing tweets from that list, you don’t need to do anything. But if the list seems spammy or inappropriate, you might want to remove yourself. We haven’t tried it yet, but have heard that you can do this by clicking on the list, then clicking the profile of the person that created the list. Next, block that person. This should remove you from any list created by that profile. Have you ever used Twitter lists or do you have any other questions about Twitter? Let us know in the comments! 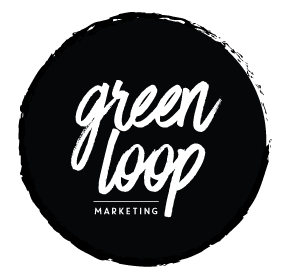 Stay In the Loop with Green Loop Marketing. Each month we'll deliver the best practices, trends, advice and fun stuff to read straight to your inbox. Sign up today. Thank you for staying In the Loop! Check your inbox to verify your subscription. Stay In the Loop with best practices, trends, and more in your inbox each month. Thank you for staying In the Loop! Please check your inbox to verify your subscription.